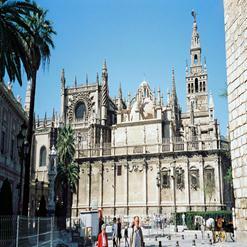 La Giralda is a large and beautiful minaret tower, originally intended for the chief mosque, but now is the magnificent bell tower of the Cathedral and a symbol of Seville. It climb the 34 ramps for a great view of the city. Adult admission to both attractions is €9 each.